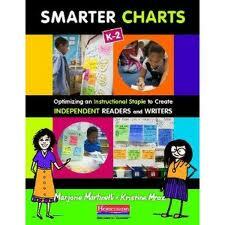 Thank you so much for your wonderful ideas and charts We really appreciate them! Thank you for your feedback. 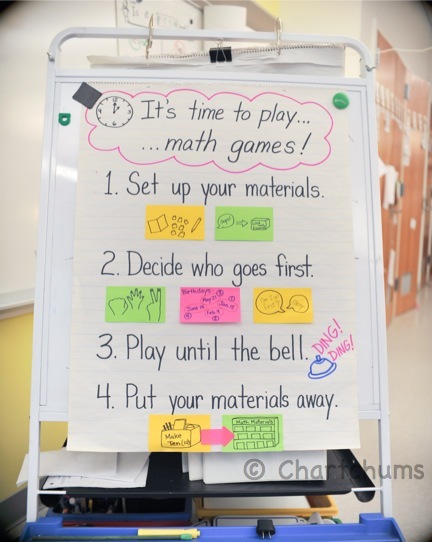 We would love to hear how you are using these ideas and developing charts that suit your students and their needs! 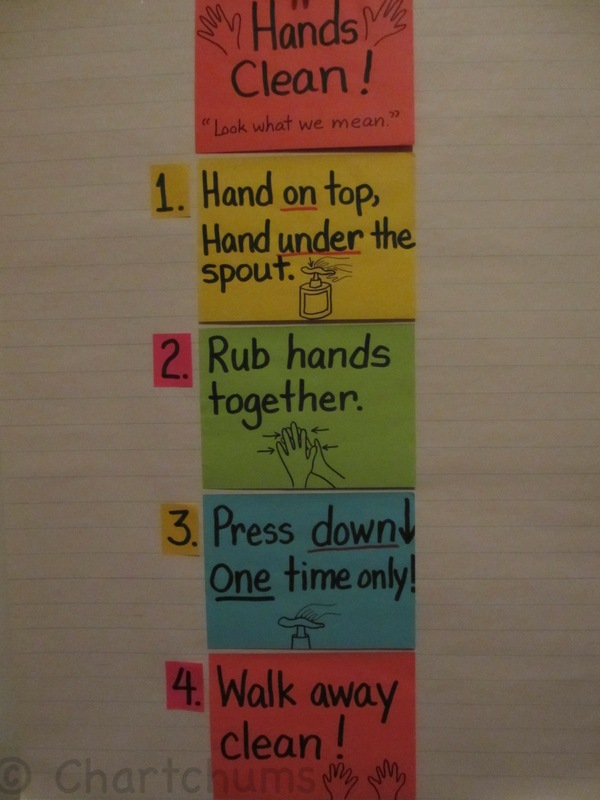 I used to have a Montessori Preschool and this is the kind of thing we taught our students to do–sequential steps to washing hands, washing a table, pouring juice, and how to put things away. My threes and fours caught on to this beautifully and were very proud of their accomplishments. 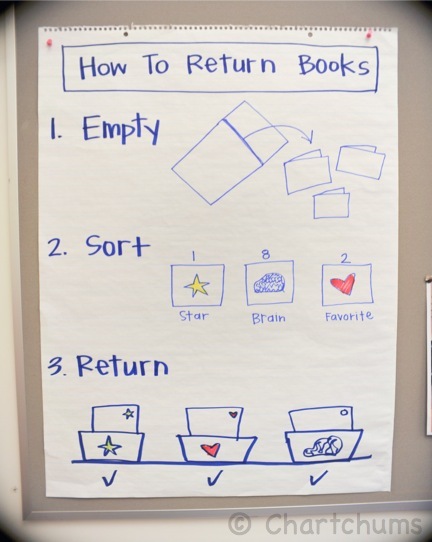 I wondered if you could give any more information on your classroom library organization, as well any other charts you use to help kids take ownership over its contents and routines. I recently leveled my library for my first grade classroom and am a little bewildered about what to do with all my higher level, but still wonderful, picture books. Looks like you might have a system for this and I would love to read a post on it! Thanks so much!